Official Public Documents, Townshend, VT. Towns (Townships) in Vermont are much like counties in many other states. 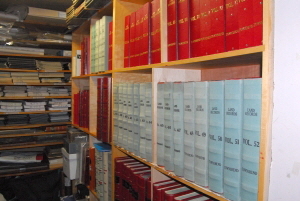 Hundreds, if not thousands, of documents are stored in the vault, many may be hundreds of years old. Townshend’s vault is small, probably not much bigger than the bathroom in your house, if even that big. Documents presented here, on the website, are the ones that pertain to the primary day to day operations. Those would be the minutes of selected boards and Town Meetings only. For any other documents, you must visit the Clerk’s Office. Documents pertaining to the current apprised value of property (property cards) are stored in the Listers’ office. Please note that there are specific rules regarding the handling of many of these documents. Your cooperation is appreciated.